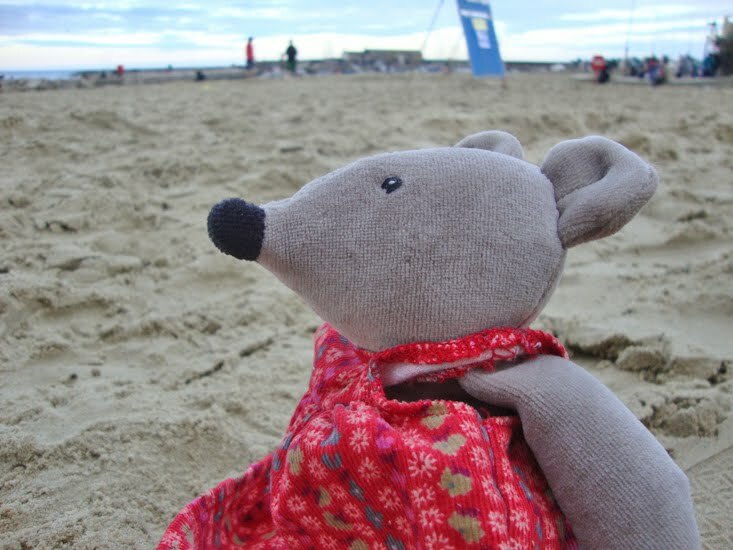 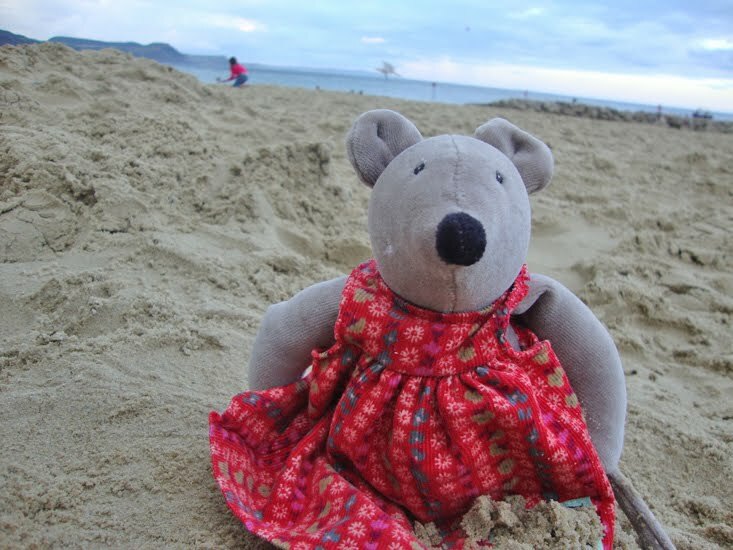 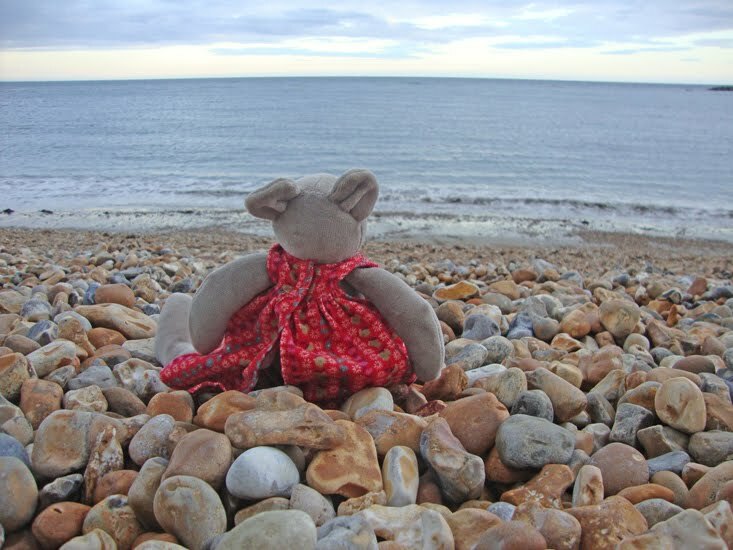 Not many people know this but mice love the sea. 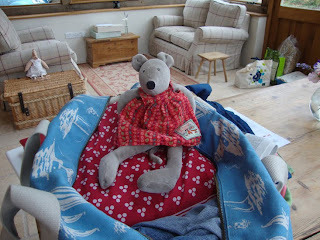 So guess who sneaked into my overnight bag when we went down to Lyme Regis for a couple of days? 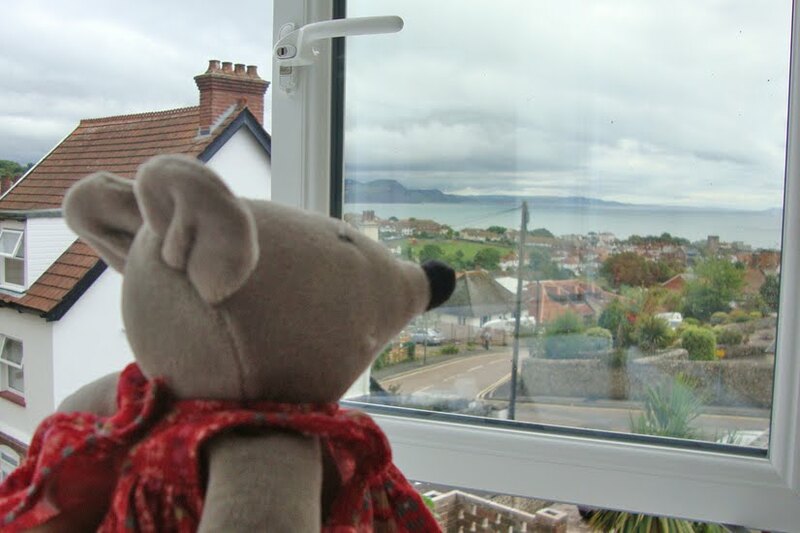 View from the B&B - Nini spots the sea! 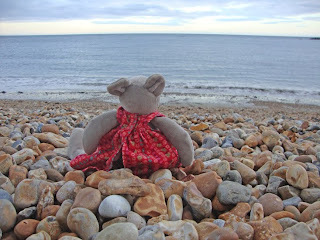 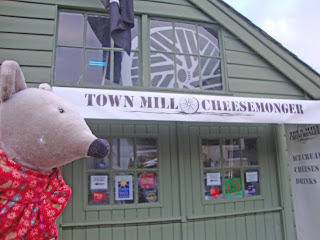 Lyme Regis is a very pretty seaside town with two lovely beaches (sandy and pebble) and lots of little shops. 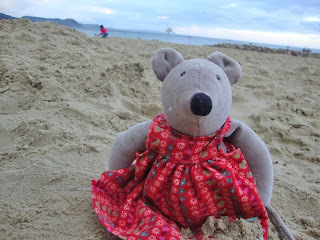 We even found a shop selling Nini's cousins! 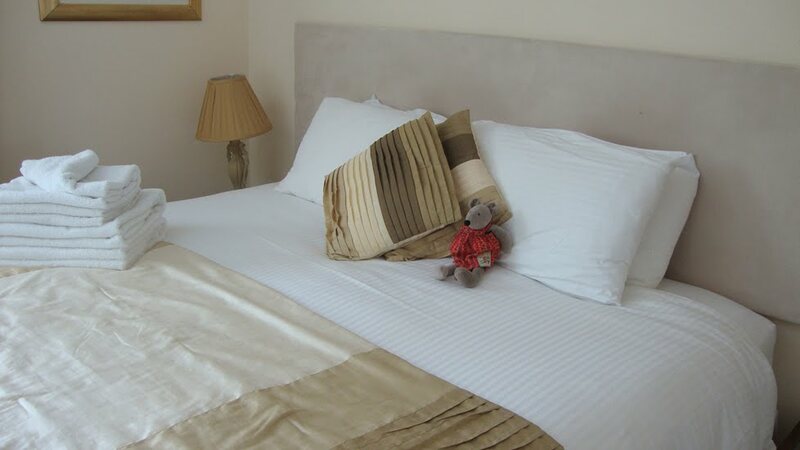 And our B & B was very comfy and quiet although unfortunately Nini was unable to join us for breakfast - for some reason Mike seemed curiously short tempered whenever I suggested it. But all in all we had a lovely time and Nini is now flicking through brochures for the South of France for 2012 - she understands the weather and the cheese is very good over there. 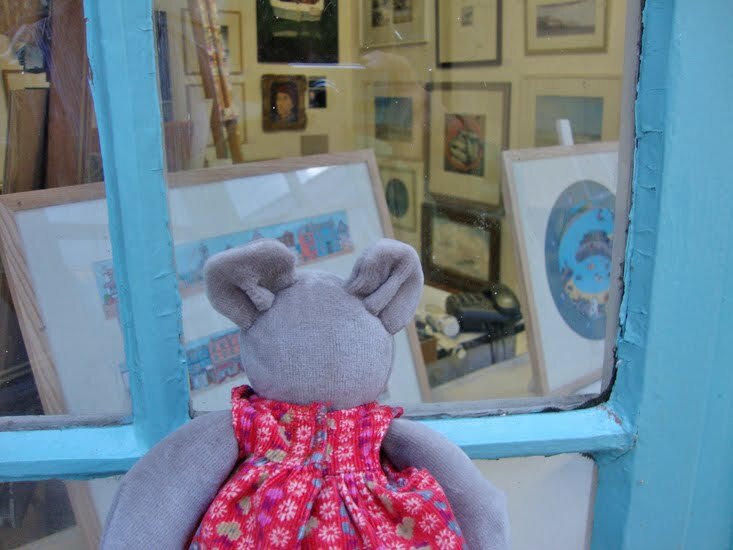 Justin - we saw your lovely shop when it was open, but my other half would only let me bring Nini out in public when the light was starting to fade...! Gorgeous photos, but I can understand Mikes' reluctance to have Nini at the breakfast table!! 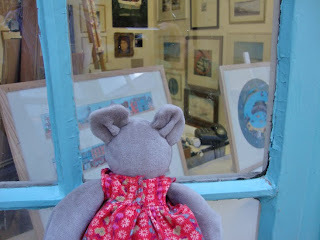 I love Lyme Regis and the shops are gorgeous. 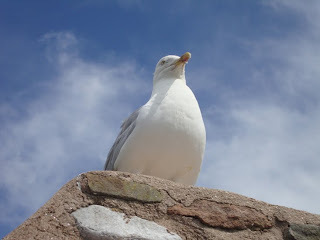 Did you see the French Lieutenants Woman ?